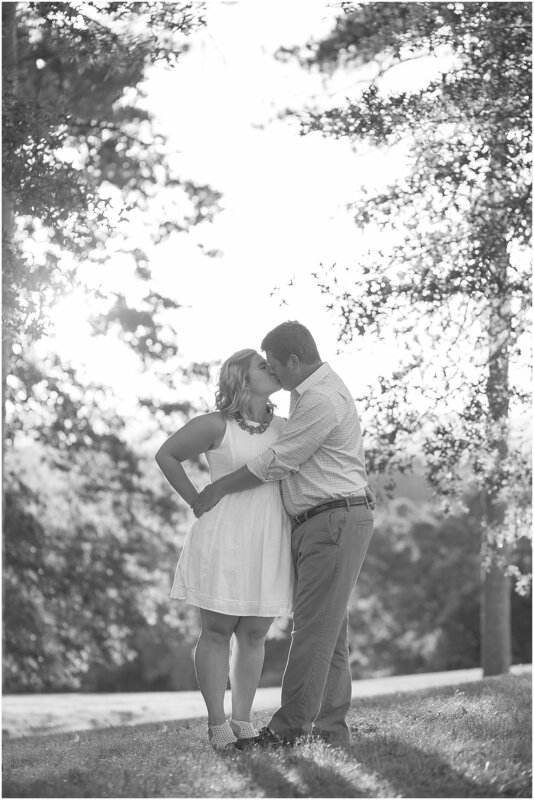 There is something really special about photographing two people you know. Whether they're good friends, old friends, new friends, friends from a different part of your life, or in this case, past coworkers and friends, these sessions always mean so much to me. I first met Amanda and John back in 2009 when I was fresh out of college and started my first job in public accounting. We all worked together at the same firm. Amanda became a good friend of mine, but eventually I left the job and moved to NC. I remember when I first found out that Amanda and John had started dating and I thought to myself how perfect that was. They were always good friends at work and it just felt right that they ended up together. Something I always do when booking a new wedding is send my couples a little getting to know you questionnaire. One of the questions asks what their favorite moment together has been. I loved Amanda and John's answer to this one! They said they love all of their moments together, because they work as a team with whatever they do! This is so important in every relationship, and I can see how these two have become an awesome team. 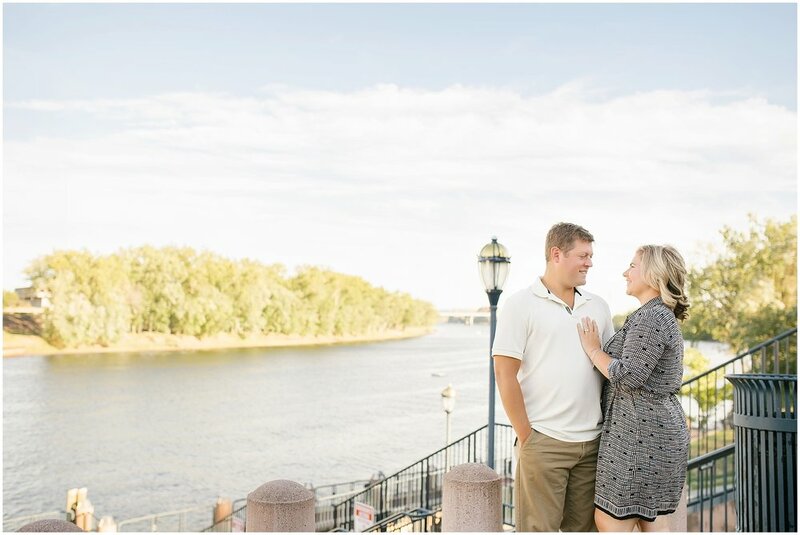 We met up near the riverfront in downtown Hartford for their engagement session. This was such a fun and unique spot to take photos! After exploring the city, we moved over to Wickham Park in Manchester and let me tell you, this spot is UNREAL! You are up on a big hill overlooking the city, and the sun sets in the absolute perfect spot! We were so lucky to have an amazing sunset for their photos. I also got to play with their adorable pup Tyson! He was was such a good boy for the session (especially when I became photographer/treat giver), and we had got some great pictures of their little family.